Chief Warrant Officer 3 Phil Ross graduated from Ottumwa High School, Ottumwa Iowa. He enlisted in the United States Marine Corps in May, 1989. He deployed with the 31st MEU in association with operation Desert Shield and served in operation Desert Storm with the 3rd Armor Division where he was awarded the Army Commendation Medal. In 1995, Sergeant Ross reported to 2nd Marine Aircraft Wing, Cherry point, North Carolina and assumed the duties as the Staff Non Commission Officer responsible for all training and instruction. 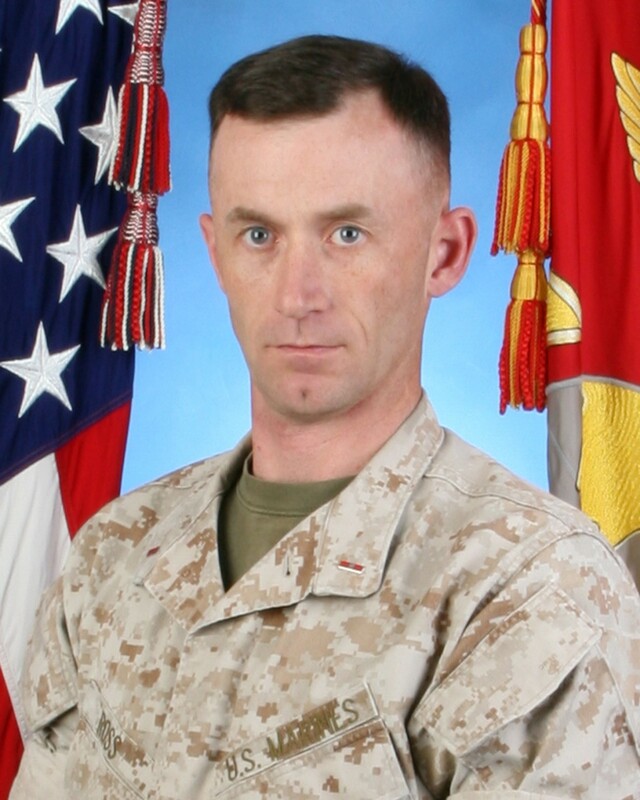 He was named new recruiter of the year in 1998, while serving in Macon Georgia and subsequently was promoted to Staff Sergeant, Meritorious Gunnery Sergeant, and Warrant Officer. Phil completed NBC Officers School in Fort Leonardwood, MO in 2000. Thereafter, while in Camp Pendleton, CA, he deployed twice with the 31st MEU and Operation Iraqi Freedom during which he was awarded the Navy and Marine Corps Commendation Medal. He acted as the base training officer and range master for Al Asaad. In June 2006, Phil was assigned to MWHS-3 G-3 where he organized and directed the 3rd Marine Aircraft Wing Combat Marksmanship Program. From the inception of the program he trained more than 26,000 marines from 22 different units. His personal awards include the Navy and Marine Corps Commendation Medal, Army Commendation Medal, 2 Combat Action Ribbons, the Armed Forces Expeditionary Medal, Global War on Terrorism Expeditionary and Service Medals, Korean Defense Service Medal, and Southwest Asia Service Medal. Phil Ross retired from active duty in April 2009 to spend time with his wife and three children.